We are faithful in anything in life — our work, our family, our duties, not simply to do it. We do it because we cherish the values they represent, or, it supports the people we love. We go to work because we are impassioned by it and how we can make the world better, whether you are an international diplomat or a garbage man who helps keep our streets and health safe. We are faithful to cherish others, such as showing up for our grandson’s game or niece’s game, because we love them and want to nurture that love. Most importantly, we have faith in God because we trust that He/She has the best plan for us. So if we love our work and love our families, shouldn’t we love an all Powerful God the most? The Mennonites are a group of Christian Anabaptists named after Menno Simons (1496–1561). His teachings were a relatively minor influence on the group, though. They are of the historic peace churches. Mennonites are committed to nonviolence, nonviolent resistance/reconciliation, and pacifism. There are about 1.5 million Mennonites worldwide as of 2006. There are many different types of mennonite communities in the world. There are those that dress in old-fashioned ways, and others which are hard to tell apart from other people leading a modern lifestyle. Most Mennonites are in the United States and Democratic Republic of Congo, but Mennonites can also be found in tight-knit communities in at least 51 countries on six continents or scattered amongst the populace of those countries. Mennonites have an international distinction among Christian denominations in disaster relief. They also place a strong theological emphasis on voluntary service. Mennonite Disaster Service, based in North America, provides both immediate and long-term responses to hurricanes, floods, and other disasters. Mennonite Central Committee provides disaster relief around the world alongside their long-term international development programs. Other programs offer a variety of relief efforts and services throughout the world. In the last few decades some Mennonite groups have also become more actively involved with peace and social justice issues, helping to found Christian Peacemaker Teams and Mennonite Conciliation Service. This entry was posted in The Classic Pamela Positive and tagged Christian, faith, family, God, Job, Love, Mennonite Phrase, Mennonites, nurture, Values, work on March 3, 2019 by Pamela Hawley. So then we must do the same. No matter how tough your situation is, you can light a candle. It may be small but it is enduring. 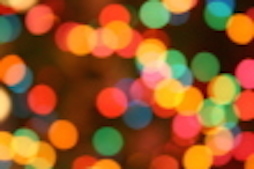 Bring that light into your worry, and the light will dispel the darkness– and pave a way! Jodi Picoult is an American author with 14 million copies of her books in print worldwide. She wrote her first story at age 5, titled “The Lobster Which Misunderstood.” With a degree from Princeton University in writing and a master’s degree in education from Harvard University, Jodi took a variety of jobs before Nineteen Minutes became her first book to debut at #1 on the New York Times Best Seller list. In total, Jodi is the bestselling author of eighteen novels, five of which have been adapted for film and TV. Jodi, her husband Tim and their three children live in Hanover, New Hampshire with two Springer spaniels, a rescue puppy, two donkeys, two geese, one duck, eight chickens, and the occasional Holstein. This entry was posted in The Classic Pamela Positive and tagged brightness, candle, darkness, faith, Hope, Jodi Picoult, joy, light, Love, positivity, quotes, wisdom on February 19, 2019 by Pamela Hawley. “Things didn’t work out the way they’d hoped. The apartment where we were supposed to stay fell through. Jobs were hard to come by, and the money ran out. We had to live in our van and eat peanut butter and jelly sandwich for breakfast, lunch and dinner. Everyone except me. Even though Mom fed me constantly, I couldn’t keep anything down and kept losing weight. She couldn’t figure out what was wrong. No matter what the human scene is telling us, you are always more than able through God. But you need to believe it now. And again, and again and again. You are able for whatever you need to face in front of you! Gabrielle Douglas (born December 31, 1995, in Virginia Beach, VA) began formal gymnastics training at 6-years-old and won a state championship by the time she was 8. She moved away from her hometown and family in 2010 to pursue training with world-renowned Olympic coach Liang Chow and was selected to compete with the U.S. Olympic women’s gymnastics team at the 2012 Summer Olympics in London, England. There, Douglas became the first African American to win gold in the individual all-around event. She also won a team gold medal with teammates Aly Raisman, Kyla Ross, McKayla Maroney and Jordyn Wieber, the first gold medal for the American women’s gymnastics team since 1996. 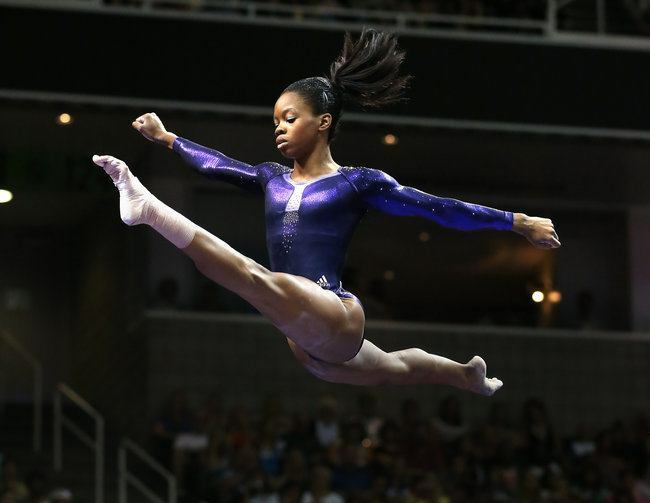 This entry was posted in The Classic Pamela Positive and tagged 2012 Summer Olympics, believe, faith, Gabby Douglas, God, growth, gymnastics, healing, health, Isaiah, prayer on December 28, 2018 by Pamela Hawley. This entry was posted in Industry Inspiration and tagged brightness, candle, darkness, faith, Hope, Jodi Picoult, joy, light, Love, positivity, quotes, wisdom on November 8, 2018 by Pamela Hawley. What To Do When You Don’t Know What To Do Next? Have faith, then take another step. That’s how life works and soon you’ll reach your destination. So start walking, believing, and doing today! This entry was posted in Industry Inspiration and tagged belief, do good, faith, goodness, greatness, growth, inspiration, Life Lessons, peace, positivity on October 12, 2018 by Pamela Hawley.